All Build-A-Biscuit products are packaged with Natural Kraft Stand Up Pouches featuring a foil polyester liner offering the utmost protection for your dog treats. Quick-N-Easy Mix! Fun for the ENTIRE family! These tasty treats come from a 100% natural, non-GMO mix! In addition, the mix contains NO SALT! NO SUGAR! NO PRESERVATIVES! 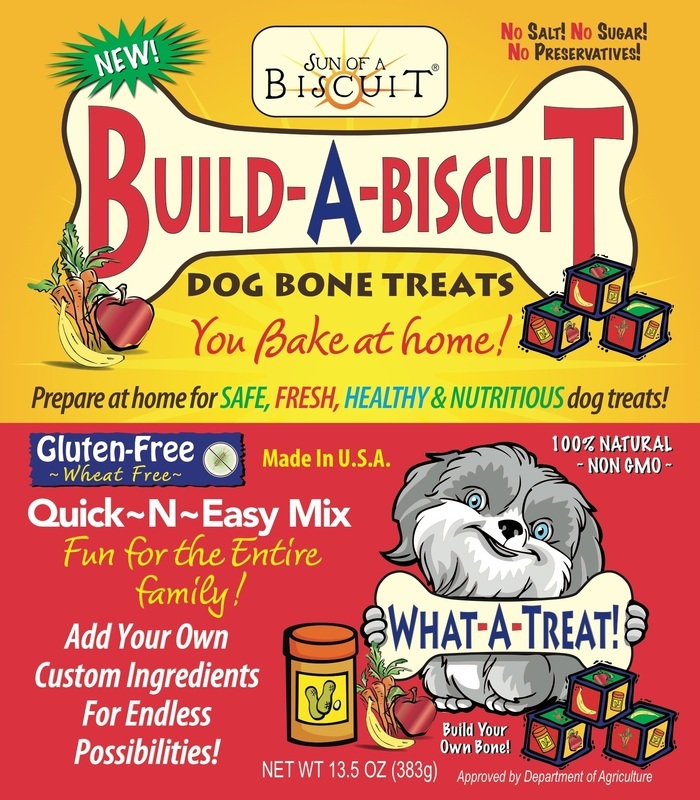 The Build-A-Biscuit Mix allows you to prepare dog bone treats from home that are SAFE, FRESH, HEALTHY & NUTRITIOUS! You can even add your own custom ingredients for endless possibilities. *Available for seasonal purchase only. Please check back for next batch availability! 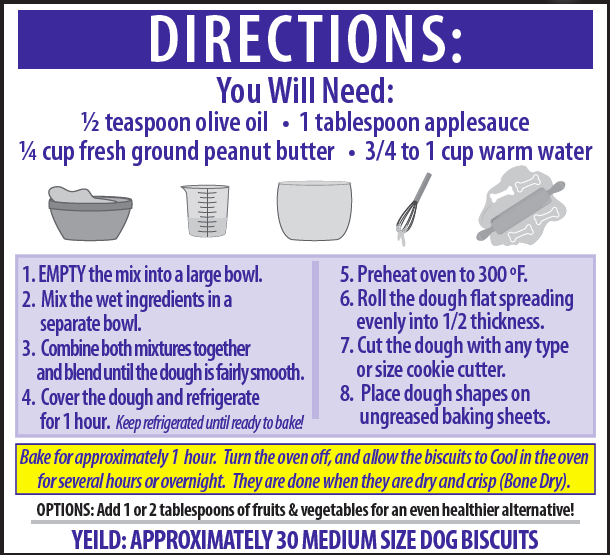 Our dog treats are custom-made and prepared under strict supervision using the purest ingredients for a premium product your dog will absolutely LOVE. Easily breakable, each box contains approximately 40 gourmet biscuits. 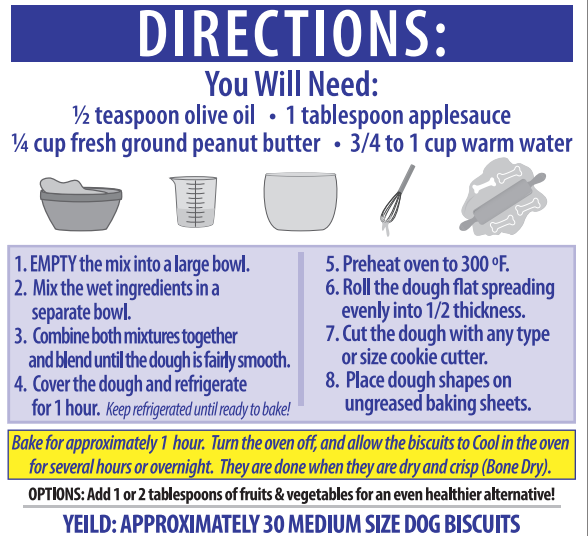 When compared to similar products ounce-per ounce, our biscuits are a great value. Beautifully packaged for gift-giving on any occasion. 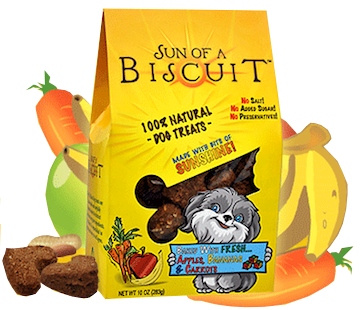 Fill your dog's day with bits of sunshine from Sun of a Biscuit! Copywright (C) 1999 - 2014 Royal Pet Sitters Inc. All Rights Reserved. Designated trademarks and brands are the property of their respective owners.